HELLER Retrofits offer you wide-ranging, innovative options in terms of production, maintenance and sustainability. Through technological enhancement of your existing machines we help you increase reliability and flexibility, improving your ability to respond to changing market and manufacturing requirements. With HELLER RDS, you can receive servicing and process messages quickly and easily by email or SMS any time and everywhere. You then decide whether our specialist should log in to the machine after your consent. So you can count on rapid and expert assistance. Reliable instant assistance which directly improves the availability of your machine. With HELLER CDS, you lay the foundation for predictive maintenance. To determine the condition of individual machine components, status information is captured or generated using automated uploads and regular test series. In case of process-relevant limit violations, you will be notified proactively by a competent expert. This allows you to reduce unscheduled downtimes and ensure the availability of your machine. The HELLER Services Interface is a browser-based solution giving you secure access to your production and maintenance data from anywhere. Maintenance: Identification of preventive and predictive measures by displaying the condition of axes, spindles and other assemblies. Production: Identification of optimisation potentials during production. Reduction of set-up times and tool costs. Reporting: Evaluations and statistics with key figures. HELLER Remote Diagnostic Services (RDS): In addition to fault analysis and rectification, RDS provides the contents for the production view. HELLER Condition Dependent Services (CDS): In addition to the identification of quality-relevant changes, CDS provides the contents for the maintenance view. HELLER NetGuard guards the machine control against unauthorised access or malware from the corporate network by means of independent decentralised protection within the operator’s network. HELLER NetGuard is a plug & play solution for the protection of HELLER machining centres. With HELLER NetGuard, HELLER offers a solution that protects the investment item machine tool from inadmissible access and malicious software from the company network in the era of increasing malicious software and hacker attacks. The HELLER NetGuard firewall is delivered in a basic configuration which ensures, that the HELLER machine will continue to operate reliably in the operator’s network whilst minimising the dangers and risks known at the time. The basic configuration can be independently adjusted by the operator. HELLER NetGuard guards the machine control against unauthorised access or malware attacks from the (corporate) network by means of independent, decentralised protection within the operator’s network. Appropriate safeguards must be provided to ensure protection of the machine’s hardware against unauthorised access. Independently of the above, the operator remains responsible for network security. Many older machine tools are equipped with a floppy disc drive. The floppy disc provides the only possibility to upload e.g. machining programs to the machine control or to download them. Procurement of 3.5 inch floppy discs becomes more and more difficult. Floppy discs are sensitive and have a short lifespan. The maintenance of floppy disc drives is expensive. Often, replacement units are no longer available. The USB floppy-disc emulator replaces the installed floppy-disc drive. A retrofit of your machine is not required. Instead of floppy discs a USB flash drive is used. The USB flash drive allows storage of up to 100 virtual floppy discs. USB flash drives are smaller, more compact, have a longer lifespan and are easier to handle. 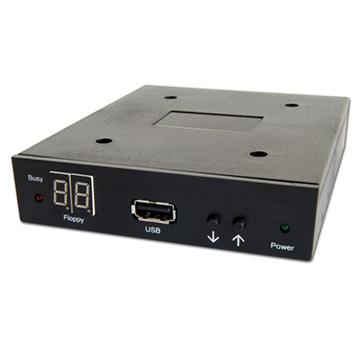 Switch to the latest technology with our USB floppy-disc emulator. Hard discs are subject to wear. Therefore, it is recommended to replace them regularly every 5 years. By replacing the hard disc before a failure occurs, you can prevent unscheduled, lengthy machine standstills. Make sure to plan the replacement of the hard discs in good time and seize the opportunity to upgrade to SSD technology. SSDs have no moving parts and are insensitive to vibration – the no. 1 hard disc killer. Therefore a head crash (contact of the read/write head with the hard disc surface) is a thing of the past. Exchange your hard disc as a preventive measure. This way you can determine the time of replacement, prevent loss of data and minimise machine downtime. 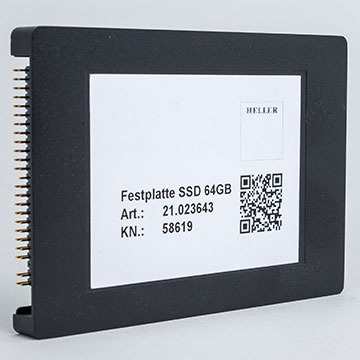 Benefit from the advantages of our upgrades a HELLER service engineer performs the data backup for you, copies your data to the new SSD hard disc and installs the SSD. The machine is operational again within the shortest possible time. 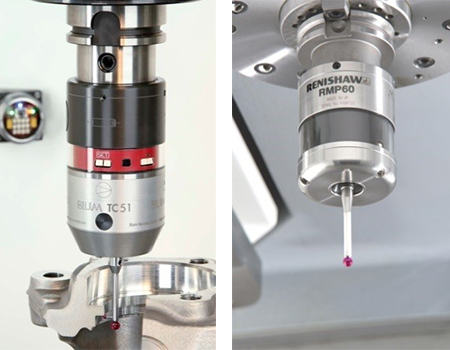 The tool changing device places the measuring probe into the machining spindle like a normal tool. The measuring task is programmed using the supplied parametrisable measuring cycles. Quality assurance during the ongoing manufacturing process allows to detect process changes or errors while they occur. Due to early intervention consequential costs can be prevented. Measuring probes using infra-red or radio technology provide optimal solutions for quality assurance. Optimise the precision of your workpieces and increase the productivity of your manufacturing operations. Benefit from the advantages of our retrofit packages. They comprise all components for the installation of the receiver and the utilisation of the measuring probe. We also offer retrofit packages for machines equipped with HELLER uni-Pro90 control. HELLER Tool Planning helps you stay abreast. You know which tools are available for which workpieces at all times. This software, developed by HELLER, searches through the relevant NC-programs for the used tools and creates structured lists. You save tooling time, because you know at a glance which tools have to be unloaded or loaded. This cuts your tool loading times. Equip your machines with the HELLER Tool Planning solution. Benefit from an optimised arrangement in the tool magazine. The software can be operated remotely from the machine. HELLER Tool Planning also supports the tool provisioning aspect of your production engineering process. HELLER is setting new standards with efficient work area lighting for your HELLER machine based on advanced LED technology. Glare-free light ensures optimal, homogeneous illumination of the work area, enabling you to work fatigue-free at the machine, especially during work piece loading. Upgrade your existing machine lighting today in a simple and easy way to the new, low-maintenance and energy-saving LED work area light. Below you find our retrofit packages brochure.